CAN-28884 Swindon 10 year PQE In House Corporate & Commercial Solicitor available for locum assignments. Expertise in regulated financial services, contentious and non-contentious work, structuring, drafting and negotiating high value complex contracts, tender applications, IT, procurement, finance and product development, negotiating third party and supplier contracts for the purchase of services and GDPR. CAN-28877 Reading 10 year PQE Commercial Solicitor available for locum assignments in the Berkshire area. Commercial and regulatory work covered. CAN-28874 Oxford 10 year PQE Corporate Commercial Solicitor available for locum assignments in the Oxfordshire region and surrounds. CAN-28879 National 20 year PQE Company Commercial Solicitor available for locum assignments nationwide. Happy to agree a percentage split for work undertaken. CAN-28875 Cambridge 15 year PQE Conveyancing Solicitor available for locum assignments in the London and Bedfordshire areas. CAN-28883 Bradford Property Legal Executive with 7 years experience available for locum assignments in the Yorkshire region. Residential and commercial conveyancing covered. CAN-28880 Chester 10 year PQE In House Solicitor specialising in data protection, regulatory law and compliance as well as commercial contracts. employment law and litigation. Looking for an in house role in the North West. CAN-28872 London Trainee Solicitor looking to transfer training contract – London and Essex areas. Property work to date. CAN-28878 South East London 10 year PQE In-House Counsel looking for a suitable role in London or Hampshire. CAN-28868 London Paralegal with 3 years’ experience working as an in-house commercial paralegal. Looking for a suitable commercial role in the Central, West or North London areas. CAN-28873 Warrington Personal injury Paralegal looking for a suitable post in Greater Manchester. CAN-28881 Luton Property paralegal with experience in residential and commercial property. Further experience in regulatory law. Looking for posts in Bedfordshire or London. 100147 Birmingham Sole practitioner looking to sell high street practice in the West Midlands area. Conveyancing, wills, family and litigation. (NB another firm have just registered in the same area). 400155 London law firm of medium size looking for consultants and law firms for sale/merger in the area. 400153 Overseas individual looking to purchase an SRA regulated firm without clients. £15k available. 400150 Buyer looking to buy an existing law firm in the London area. Legal aid contract firms particularly sought. Crime firms particularly in demand. 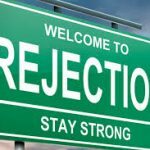 Previous Post Don’t tell candidates they have been rejected until you are absolutely sure that you don’t want them.